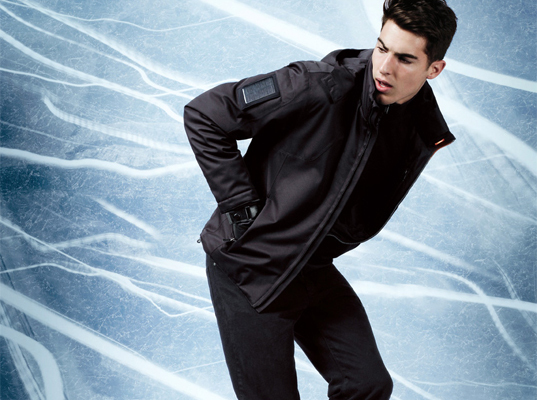 Zegna Sport has spruced up its two-year-old Solar Jacket for fall in a major way—well, make that several major ways. Version 2.0’s outer fabric, breathable membrane, seam taping, lining, and padding are derived entirely from recycled plastic. The solar panels that were attached to the original jacket’s collar have migrated to the upper sleeves, and a heating device now occupies the inner space to keep you toasty when the mercury dips. Getting a full charge requires four to five hours of direct sunlight—enough to power a cell phone or iPod. Another pair of pluses: Because the solar panels and battery are completely detachable, you can recharge a device even when you’re not wearing the jacket—or conversely, wear the Ecotech sans solar paraphernalia at night without looking silly. I just bought one of these jackets. In hindsight it may not have been the best choice for Amsterdam, where we barely get five hours of sunshine even in the height of summer. Still, I find the power pack intriguing - what do the up/down/left/right buttons do, for example, and does the USB port mean it powers other stuff, or that it can be charged by USB, or both? I'm confused. But most importantly, if I plug it into the mains to charge it, does that mean I've lost all that eco street cred I just spent seven bills on? 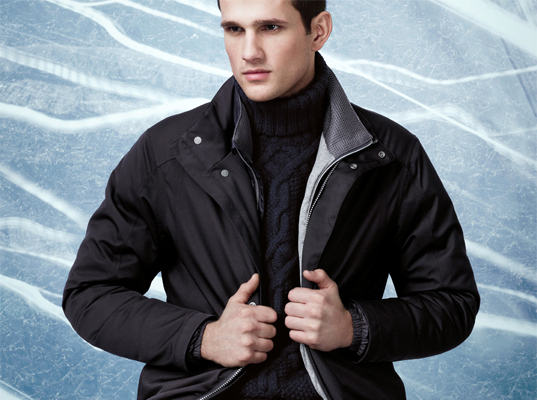 Zegna Sport has spruced up its two-year-old Solar Jacket for fall in a major way�well, make that several major ways. Version 2.0's outer fabric, breathable membrane, seam taping, lining, and padding are derived entirely from recycled plastic. The solar panels that were attached to the original jacket's collar have migrated to the upper sleeves, and a heating device now occupies the inner space to keep you toasty when the mercury dips.